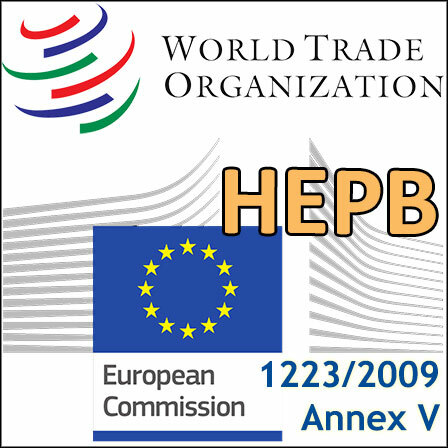 On 28 March 201p, the European Union transmitted to WTO a draft Regulation aimed to authorise the use of a new preservative - Hydroxyethoxyphenyl Butanone (HEPB) - in cosmetic products. Modification of Annex V (authorised preservatives) is expected to be adopted during the 4th quarter of 2019. This draft Commission Regulation proposes the authorisation of a new preservative ingredient - Hydroxyethoxyphenyl Butanone (HEPB) – in rinse off, oral care and leave-on cosmetic products at a maximum concentration of 0.7%. 1. The substance 4-(3-ethoxy-4-hydroxyphenyl)butan-2-one (CAS Number 569646-79-3), which has been assigned the name Hydroxyethoxyphenyl Butanone (HEPB) under the International Nomenclature of Cosmetic Ingredients, is used as a cosmetic preservative and as a skin conditioning agent. It is currently not listed in Regulation (EC) No.1223/2009. 2. The Scientific Committee on Consumer Safety (SCCS) concluded in its Opinion of 7 April 2017 that, under an aggregate exposure scenario, HEPB can be considered safe when used as a preservative in rinse off, oral care and leave-on cosmetic products at a maximum concentration of 0.7%. The SCCS also concluded that more evidence would be needed to exclude eye irritation.